YoYoExpert Blog & Yo-Yo News – New from Good Life Yo-Yos! The Breeze! New from Good Life Yo-Yos! The Breeze! The second release from the Michael Kurti founded Good Life Yo-Yos is here! This is Chandler Steele’s signature throw – The Breeze! The idea with channo’s new signature yo-yo was to create something that would complement his dynamic style. They needed a yo-yo that could handle high speed play, being yanked in all different directions, yet still maintain stability and spin power. Pair all that with a nice lightweight feel and some stainless steel weight rings and the Breeze is born! The Breeze has a beautiful aesthetic and a comfortable feel. This yo-yo is built to perform and doesn’t fall short! The Good life is a yo-yo company that makes good yo-yos and now they make good shirts. Printed on soft Gilden Poly/Cotton blend shirts with a crisp white good life logo. These shirts have a subtle clean style that doesn’t scream “look at my yo-yo shirt” while you’re out on the town. Live the good life in a good shirt. 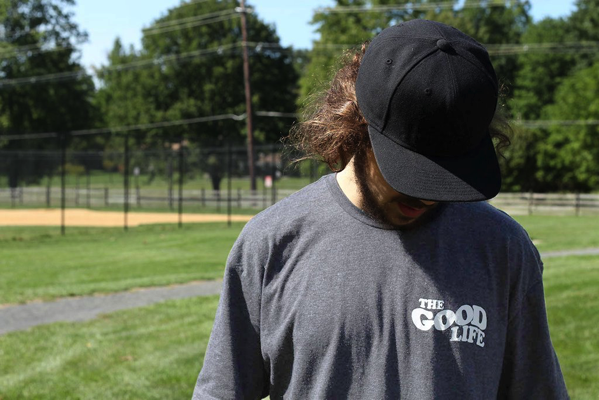 GOOD LIFE SHIRTS AVAILABLE HERE!